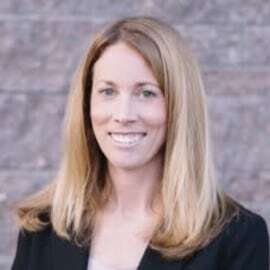 Ashley Carter is the Chief Strategy Officer of CareerWise Colorado. Ashley previously served as the organization’s Chief Operating Officer, bringing the organization’s ambitious early vision to life as its first official employee. As CareerWise continues to grow and expand, Ashley stepped into the Chief Strategy Officer role to help refine organizational strategy, manage strategic expansion initiatives, and develop and lead the organization’s new national consulting efforts aimed at supporting other states and communities around the country to develop youth apprenticeship programs. Prior to joining the organization, Ashley worked in management consulting at the Boston Consulting Group in San Francisco, where she led projects for the firm’s social sector, technology and health care clients. Previously, she founded AfricAid, a nonprofit organization with offices in Denver and Tanzania that supports women’s education and entrepreneurship training in East Africa. She led the organization for ten years as the Founder and Executive Director and continues to serve on AfricAid’s Board today. The combination of her time working with leaders in the business world and building educational and training programs for students in East Africa has led to Ashley’s passion for investing in youth and cultivating the next generation of talent for Colorado’s businesses. Ashley earned her B.A. from Harvard University and her MBA from the Stanford Graduate School of Business. In 2010, she was named one of Denver Business Journal’s “Forty under 40” and in 2011 received the Linda Childears Free Enterprise Award. She grew up in Golden, Colorado and loves spending time in the Colorado mountains with her husband, Phil, her daughter, Kinley, and her Tanzanian dog, Kimba.